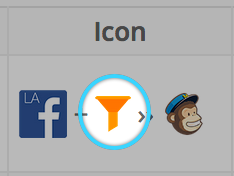 We’ve introduced a new tool that will allow you to filter incoming leads right from your bridge! This allows you to filter leads using the information you’re receiving from your lead generation tools. The incoming leads’ filter allows you to only pass information that meets a certain criteria so you may reach out to those leads in a more specific and nurturing way. It allows you to concentrate the efforts on leads that have a set of characteristics that work for your objectives. For example, you may filter your leads by geographic area so that bridge only handles leads from location A and then your marketing automation will be even smoother, this ensures that only leads indicating location A as their location will go through and any other lead won’t be handled further. To filter your leads you may use any information from your form so you it’s as flexible and customizable as you’d like it to be. In the source step of the bridge set up you’ll see a “Filter Incoming Leads” at the bottom. Once you click on the “Filter Incoming Leads” button, the setup wizard will open up. The conditions available depend on the form or source fields you have available. You may add as many conditions as you’d like. Just remember that adding more conditions results in stronger filtering. 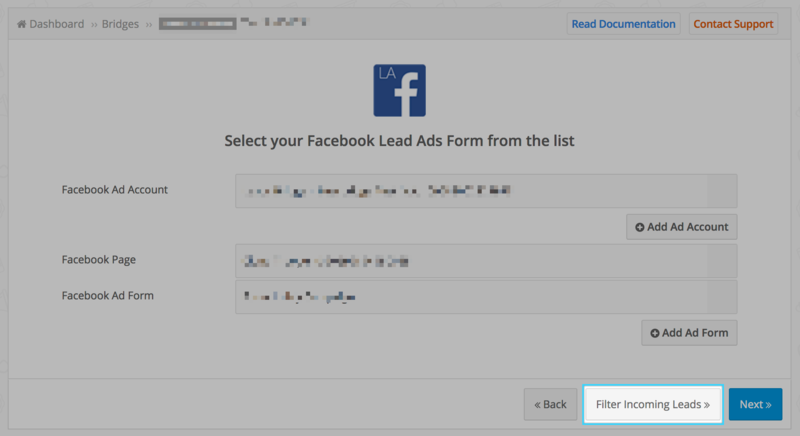 When adding a Condition, you’ll be able to select the field you’d like to use as a filter, then tell LeadsBridge how you’d like to filter those leads. 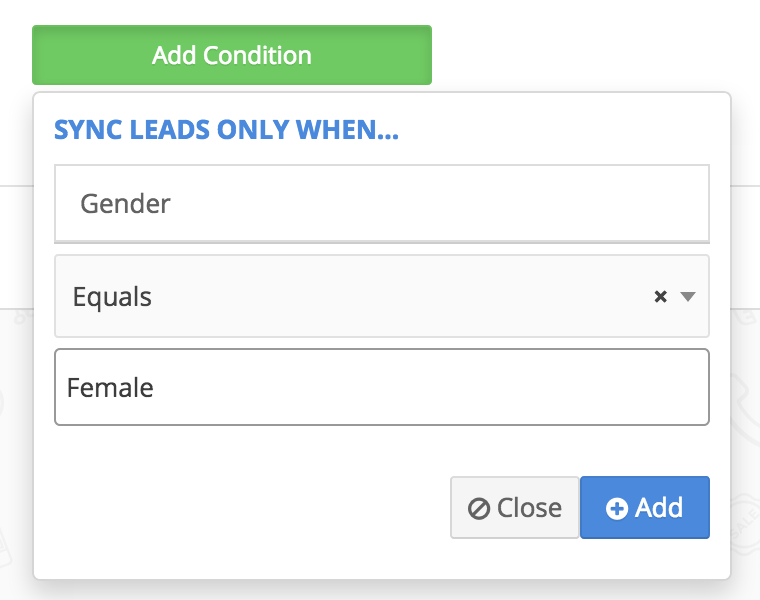 Let’s say you’d like to filter your leads by gender. Set it so when it equals “female” the lead goes through, any other information won’t go into your destination. Now you may set your bridge to send this information to a specific list or flow thought for your female audience. Then you may repeat the process in a second bridge, using the male gender as a filter so you’ll be able to handle those leads in a different way and give an even better experience to your potential customers. Once your bridge is done you’ll see a filter icon on the bridge’s flow, this will show only on the bridges that have the Filter Incoming Leads set up.